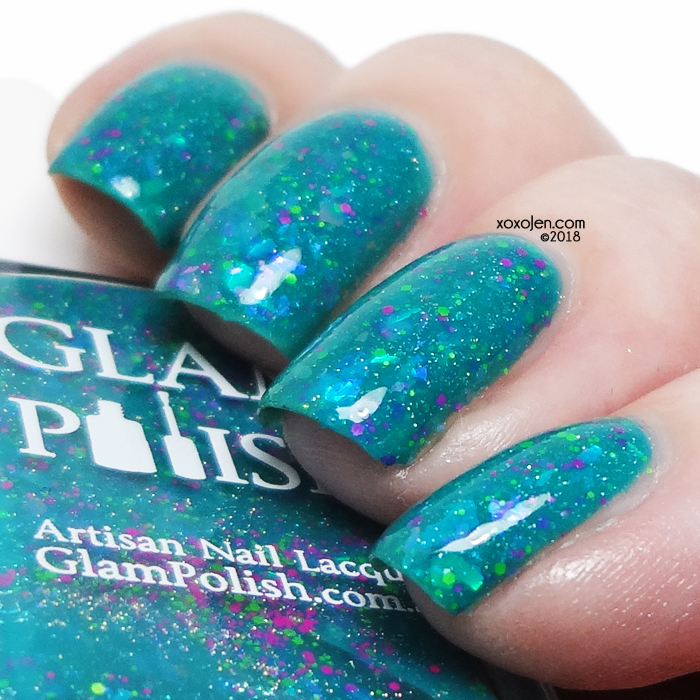 1850 Artisan Polish is having a ginormous restock with all your favorites and this Limited Edition polish! The restock is Monday, July 2nd at 10:00 AM Central. I wore two coats with topcoat for photos. Application was smooth and this is super shimmery! 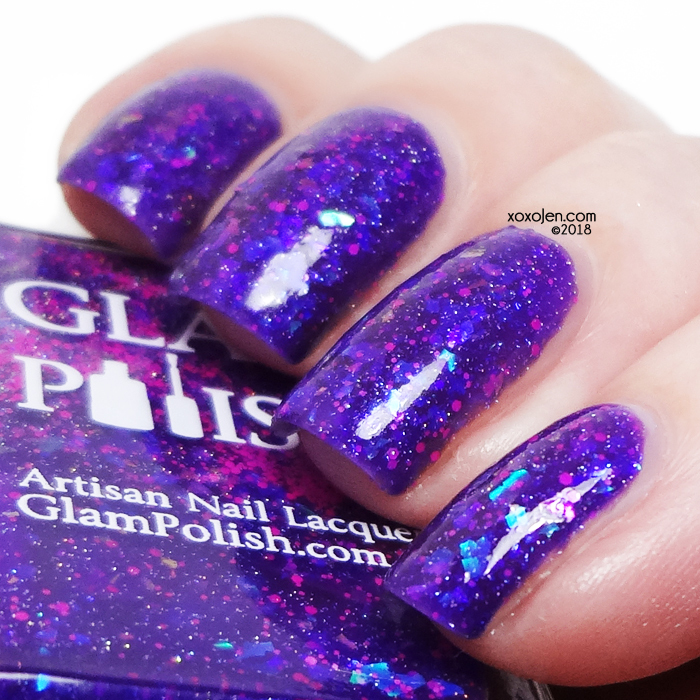 Interested in more 1850 Artisan Polishes that I've reviewed? Click here! She makes flakie toppers, a one coat black, thermals, and more! 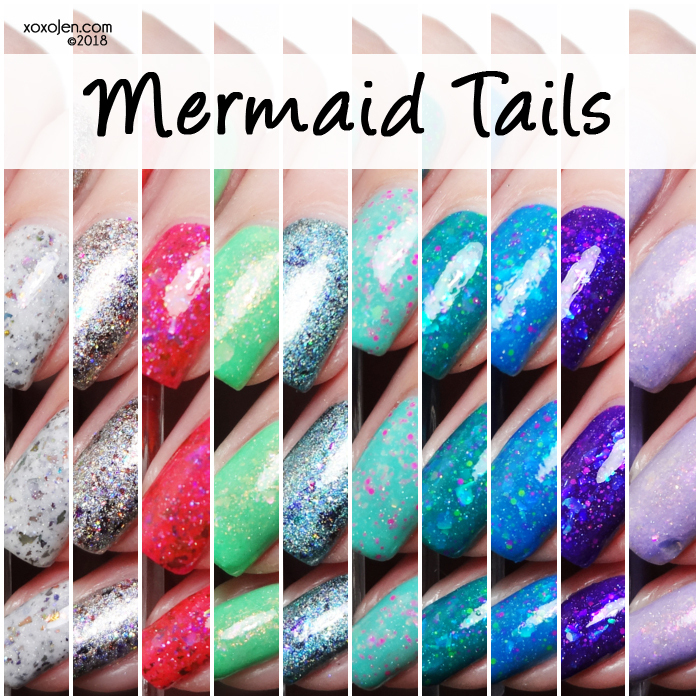 Save 5% Off Individual Shades from our Mermaid Tails Collection, You’ve Got A Friend In Me Collection, Star Wars Day Trio and Magical Spells New Additions, No Code Required. Save 12% off our Mermaid Tails Full Collection, You’ve Got A Friend In Me Full Collection, Star Wars Day Trio Set and Magical Spells New Additions Set, No Code Required. Selected Shades are marked down in the 4th of July Sale Section. 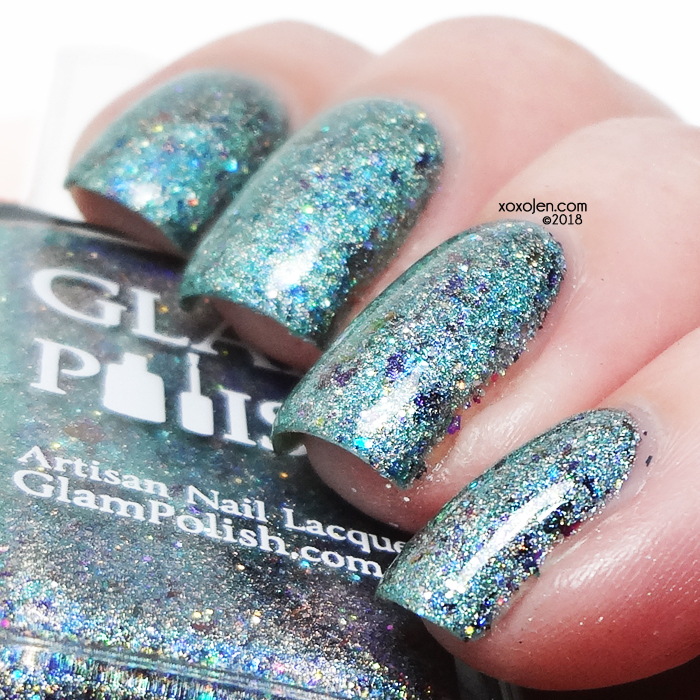 Shell No - White crelly with rainbow multichrome flakies, rainbow glitter mix, ultra holo glitter and a hint of holo. 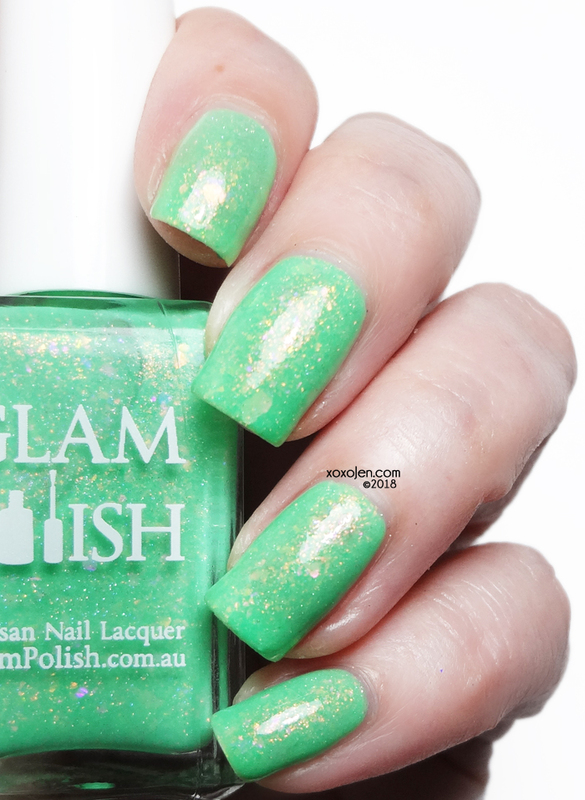 Nauti-Cool - Lime crelly, with iridescent flakies, unicorn shimmer and fine holo microglitter. 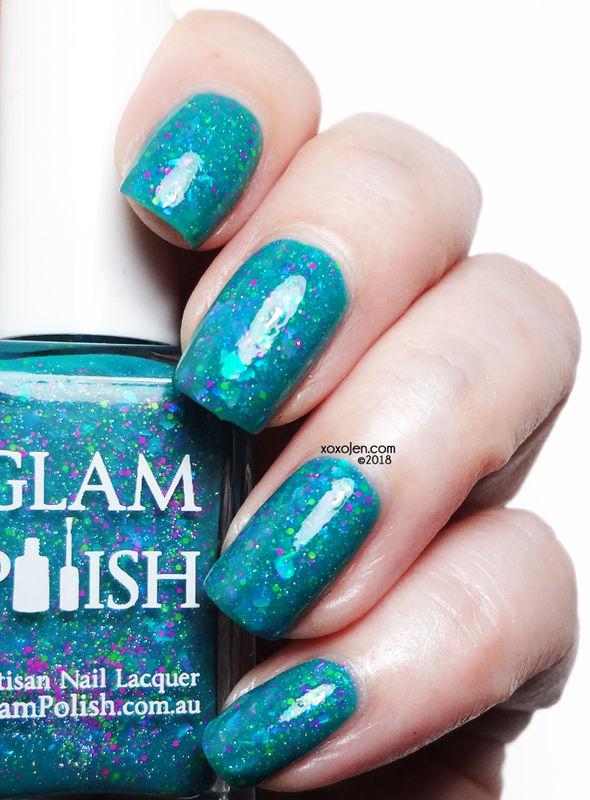 Seas The Day - Teal Jelly with iridescent flakies, neon glitter and fine holo microglitter. Tropic Like It’s Hot - Bright Pink jelly with iridescent flakies, multichrome flakies and ultra holo glitter. Knot Today! 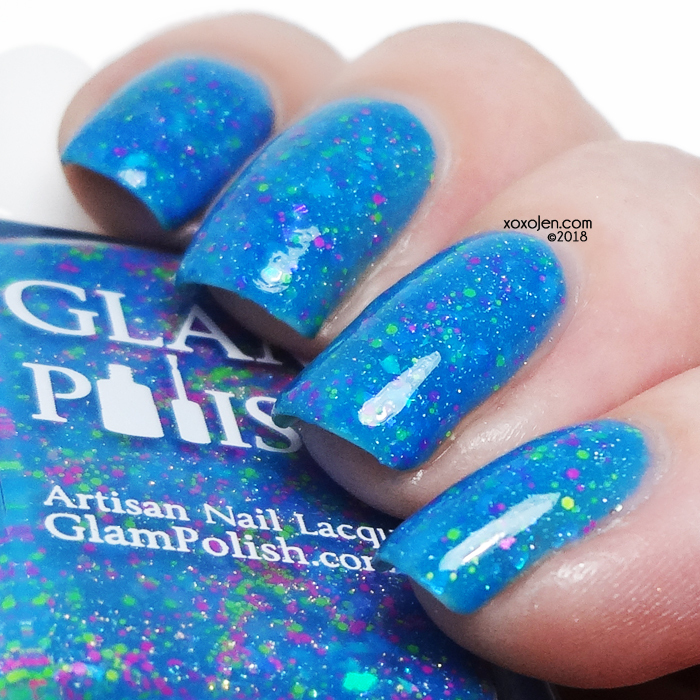 - Bright Blue Jelly with iridescent flakies, neon glitter and fine holo microglitter. Otter This World! 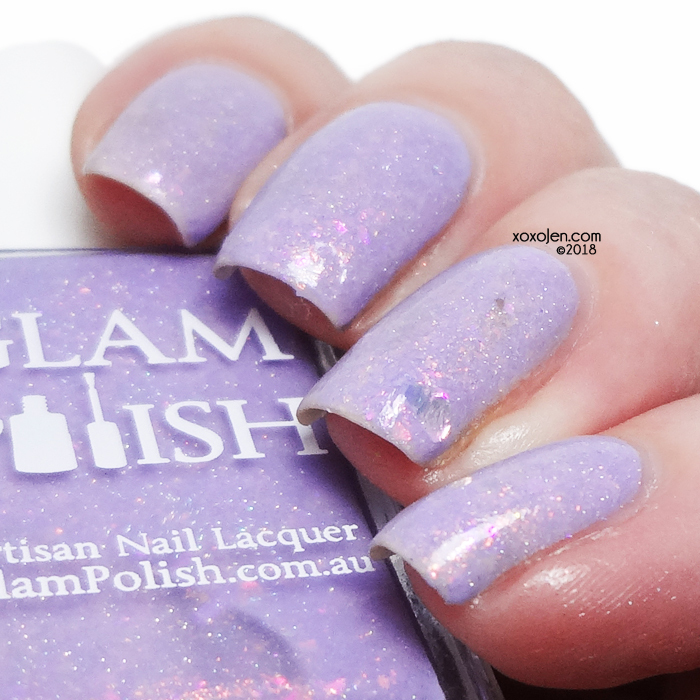 - Lavender crelly, with iridescent flakies, unicorn shimmer and fine holo microglitter. Oh For Shore! - Holo with rainbow multichrome flakes, gold, copper, rose gold, ultra holo glitter and fine microglitter. What’s Kraken? 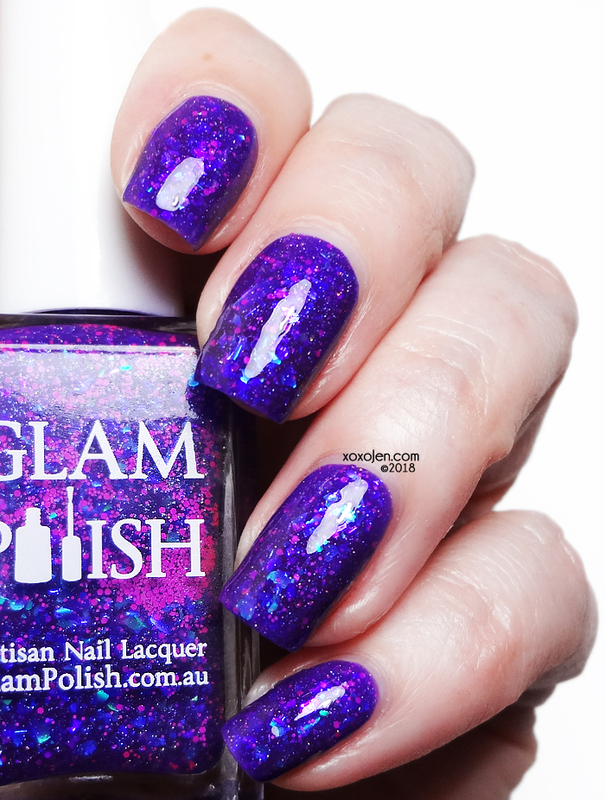 - Purple Jelly with iridescent flakies, neon glitter and fine holo microglitter. 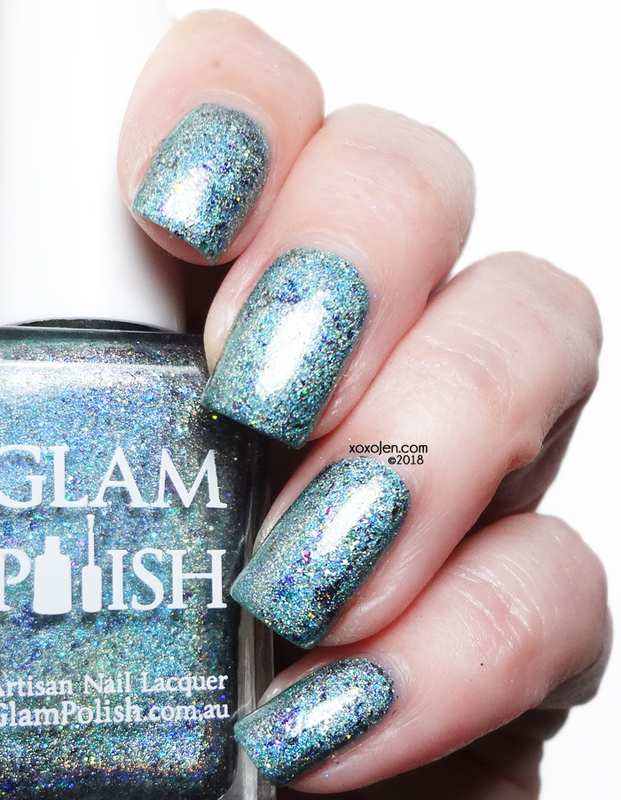 Beach Please, I’m A Mermaid - Teal Holo with multichrome flakies and ultra holo glitter. Son of A Beach - Turquoise Crelly with iridescent flakies, neon glitter and fine holo microglitter. 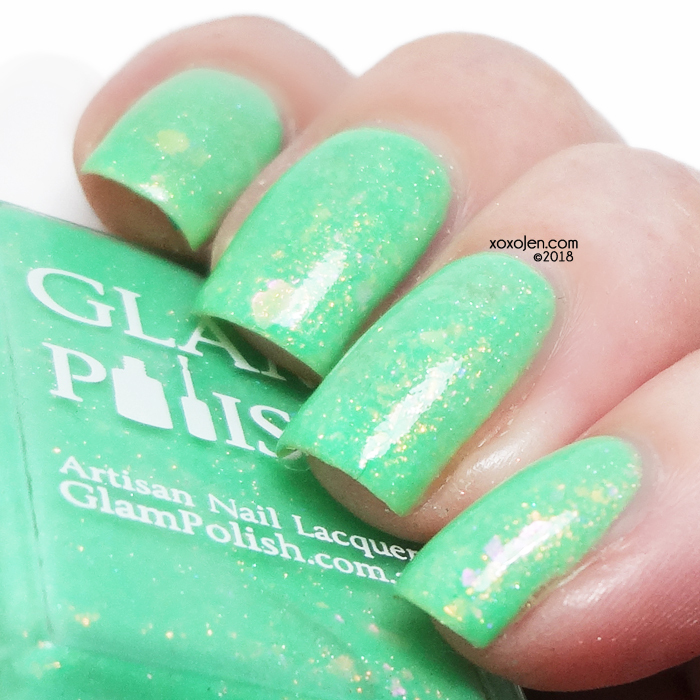 Every polish has fantastic formula and is shown in two coats with topcoat. 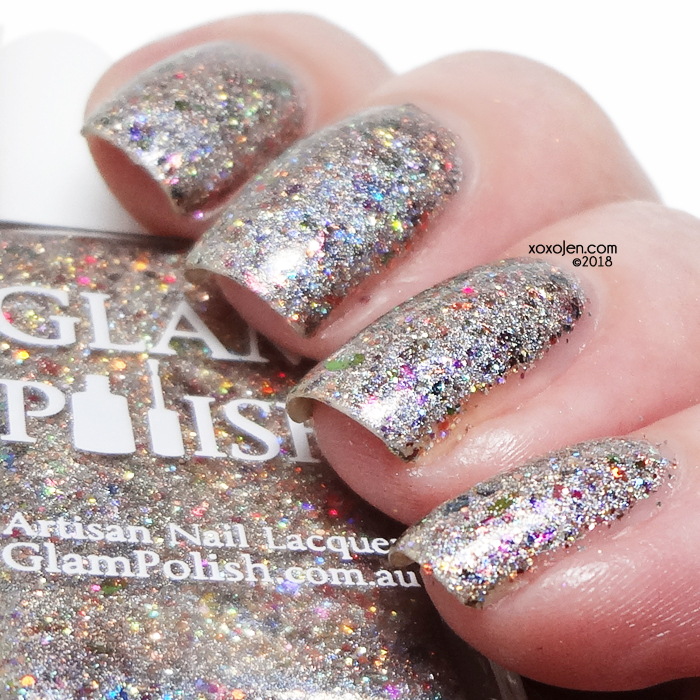 The crelly glitters will need the foil method or peel off base for easy removal, but do have a smooth finish after topcoat. If I had to choose a favorite, it would be What's Kraken? My love for purple combined with the squishyness of it won me over quickly. What will you be picking up on July 4th?! 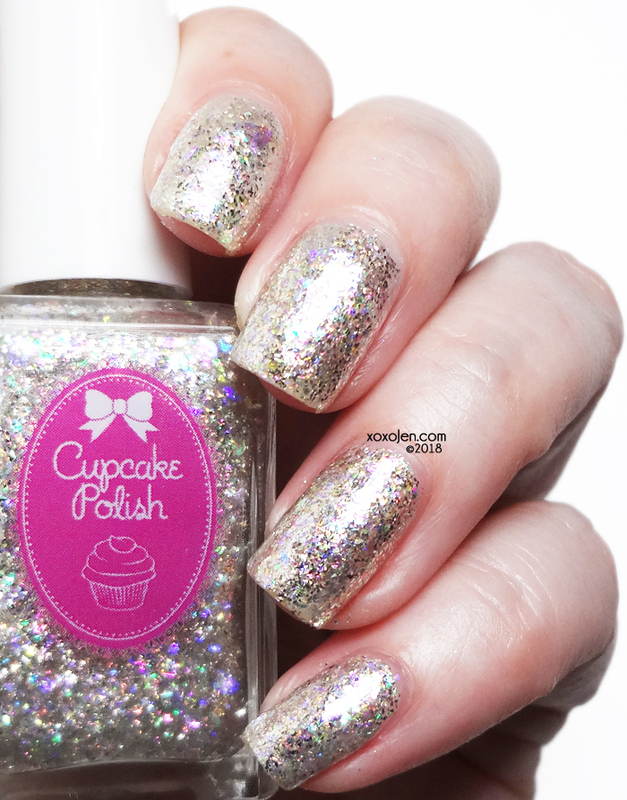 Cupcake Polish and I are excited to celebrate their 5th year in business with a fantastic sale and anniversary trio! What began as a hobby for Sara, has grown over the years into a standout brand known for their special effect and holographic nail polishes. From fingertips to toes, Cupcake has you covered! The extra novelties in the photo were sent as part of the press kit, but definitely join the facebook fan group and IG page because a little bird told me there might be giveaways! 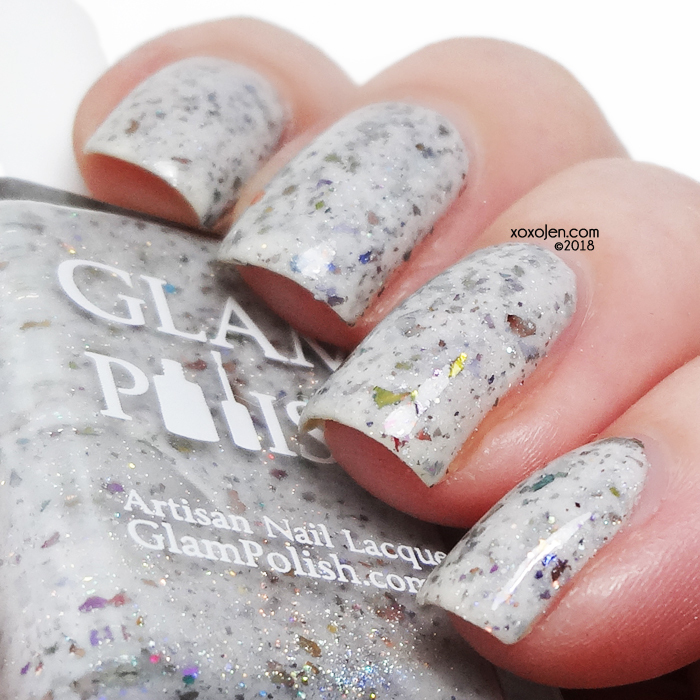 A multi-faceted iridescent topper packed with multicolored iridescent flakies and platinum silver micro flakies. 2 coats with topcoat, fairly smooth even with all the flake! I'm speechless. Just get it so you can be speechless with me. Seriously, it is unlike any other topper I have swatched or bought, indie or otherwise and you need to see it in person to get the full effect. Feminine and posh, this pink can be worn in a variety of ways. Whatever your heart desires. In this photo of Celebrate I am showing a few other ways to wear this on its own. 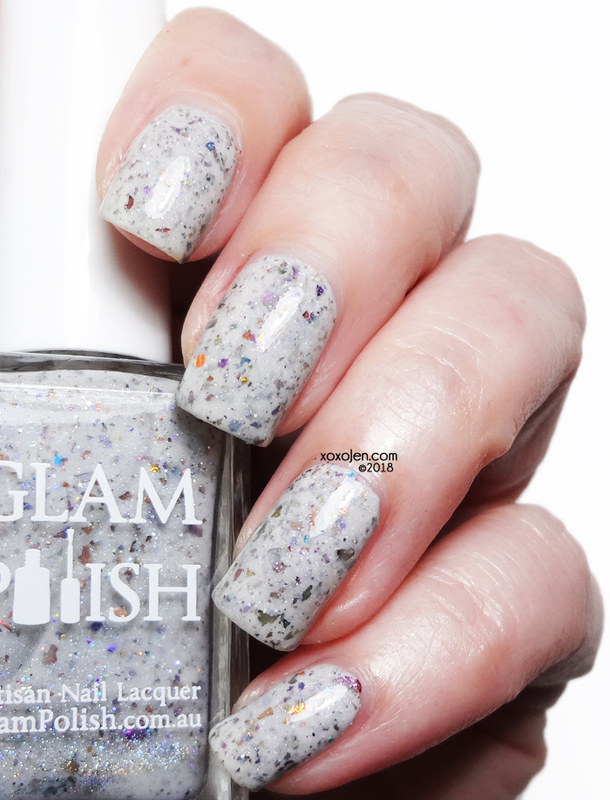 The two nails on the left show Celebrate sponged on for a pave effect and the two nails on the right show it topped with a matte topcoat. Vibrant and delicate at the same time, is that even possible? I could not resist topping both Celebrate and 5 Years with one coat of Diamond. They are all stunning together, just wow! The formula on all three of these is perfect, just like we have come to expect from Cupcake. Remember the 'fantastic sale' I mentioned at the beginning? 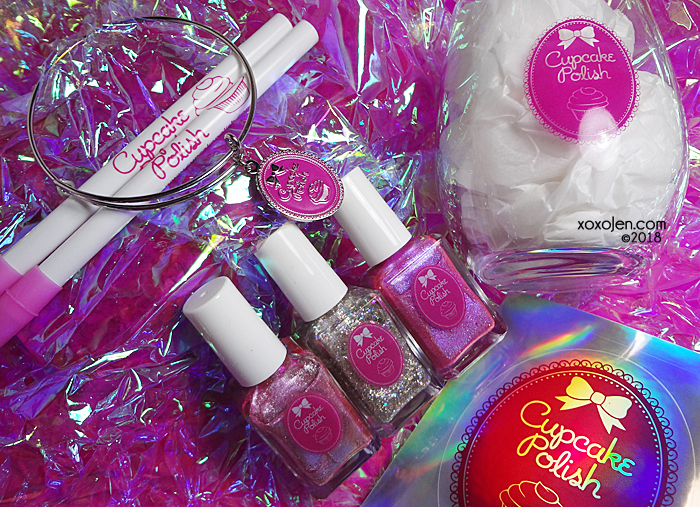 Everything in the Cupcake Polish store (including this trio!) will be 30% off with code 5YEARS. Come celebrate with us July 1 as early as midnight CDT, and shop til ya drop! Sale ends 11:59pm CDT July 5.